First District Rep. Rene Relampagos took the initiative to discuss with theÂ incoming Boholano NEDA boss Dr. Ernie Pernia Thursday at the Tarsier Botanika, Panglao -the medium term major economic development projects for his district. The Catagbacan Loon International Cruise Port, battered by the earthquake, will not merely be repaired but transformed into a “true blue” international port of destination that can host 2,000-4,000 passengers cruise ships. The ambitious project covers 4 phases of which Phase I has been answered for by a P260-MÂ funding accorded by the Philippine Ports Authority for the 2016 budget.Â This has been bid out successfully last April, according to Relampagos. To partially benefit from the dredging and conversion of the nearby sea waters due to theÂ international cruise portÂ development project will be the proposed 25-30Â hectares economic zone thatÂ will traverse through the northern corridors of Calape, LoonÂ and Tubigon. 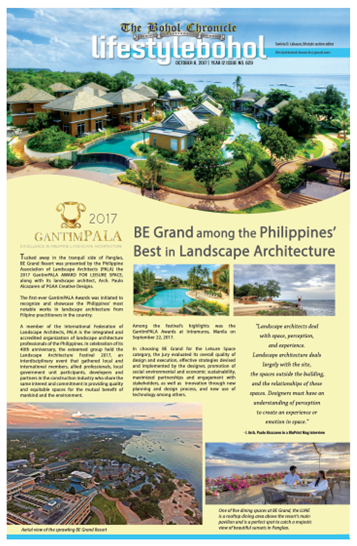 The site is ideal due to its proximity to commercially rich Cebu and the vast economic potential within the three Bohol towns. “It’s not just hotels, resorts and restaurants. This involves the attraction of Retirement Homes and Medical Tourism”, he explained.Â The only major such project is the one located in San Vicente Palawan which has not really taken off the ground and some small privately-owned tourism enterprises. Panglao stands to increase in stature as the new Bohol airport hopefully lands the first international flight in December of 2017. Depending on the speed and practicality, Relampagos will take either the Congressional route or the endorsement of TIEZA to make the Panglao conversion into a Tourism Enterprise Zone. Rep. Rene Relampagos told Dr. Pernia there is a need to fund the preparation of three major feasibility studies for the district. One has to do with the construction of the third bridge that will connect the city and Panglao to decongest the expected higher traffic volume emanating from the opening of the new Panglao airport. 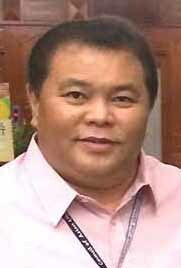 The second has to do with the construction of the second terminal of the new Bohol airport in Panglao. Relampagos quoted “This is an anticipatory move so as not to be taken off guard when the capacity of the new terminal will no longer be sufficient.” He cited the NAIA as a case in point of unanticipated traffic growth. The third is to increase the stagnant baseÂ power road requirement of Bohol which has long been dependent on the Leyte interconnected power source off their geothermal plants. Dr. Pernia, per Relampagos, saidÂ that a quick power fix wouldÂ be the installation ofÂ hugeÂ close-to-smokelessÂ coal plant to address the base loan requirement and to back this up with smaller scale renewables like hydro, solar and wind. The Loon-born solon quickly pointed out that Bohol, a tourism gem, is an environmentally conscious province and might have some grudge against power plant pollutants but remained open to the idea of a safe typo of coal plant operations. In the pipeline is the erection of a Bohol IT Park which Relampagos was notÂ able to fully discuss at length with the Chairman Emeritus of the UP School of Economics. For his part, Dr. Pernia was very much open to helping Bohol attain its full potential as a growing economy. His father, the late Dr. Juaning Pernia was a long-time popular dentist of Tagbilaran City.